Everyone knows that I have a deep passion in aviation. I absolutely love everything about it - from the technical side to the 'fun' side. Today, I'm gonna show you the 'fun' side of aviation. 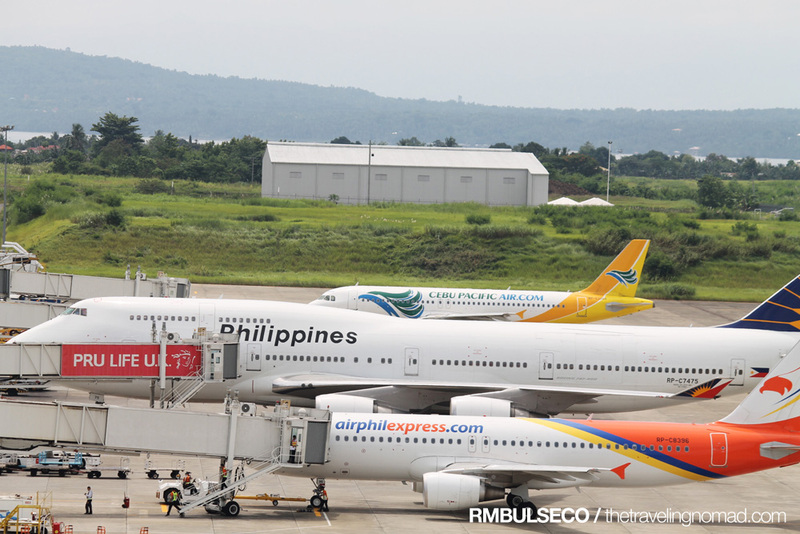 That's AirPhil Express and Cebu Pacific Air - two of the country's leading budget carriers. I think base from the flight strips I've seen, both are bound for Mactan-Cebu (RPVM / CEB). 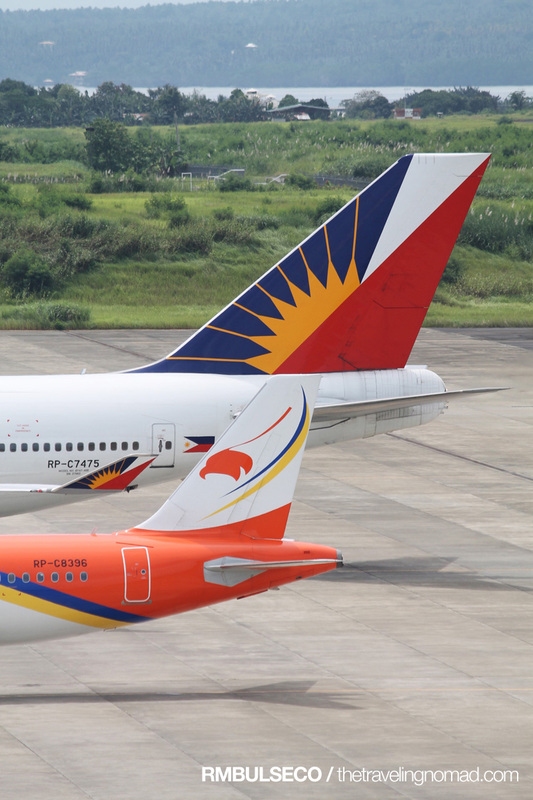 During that time, there were three scheduled arrivals - two from Manila (Philippine Airlines and Cebu Pacific Air) and one from Clark (AirAsia). 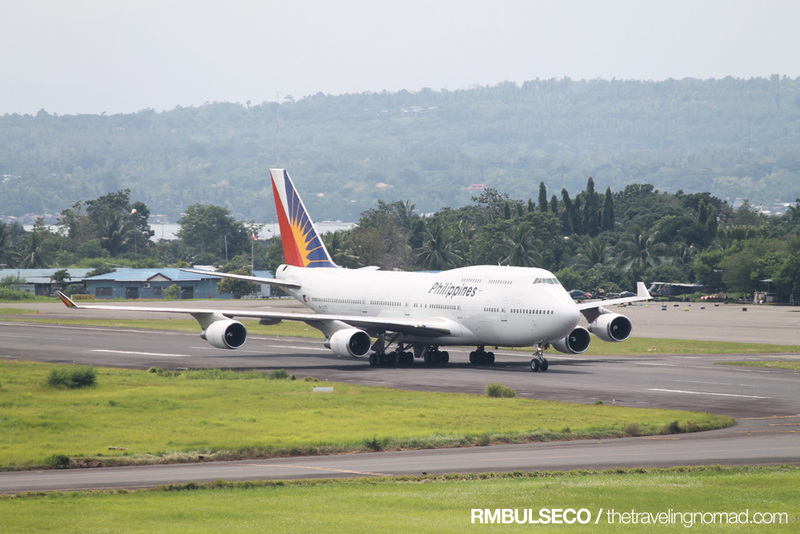 Then I remembered that I don't have any videos of a Boeing 747-400 landing at Davao International Airport. Oh wait, I have one but it was shot during night time thus most of my viewers did not really appreciate it. Thus, I went outside and waited for it as the plane commenced its final approach. 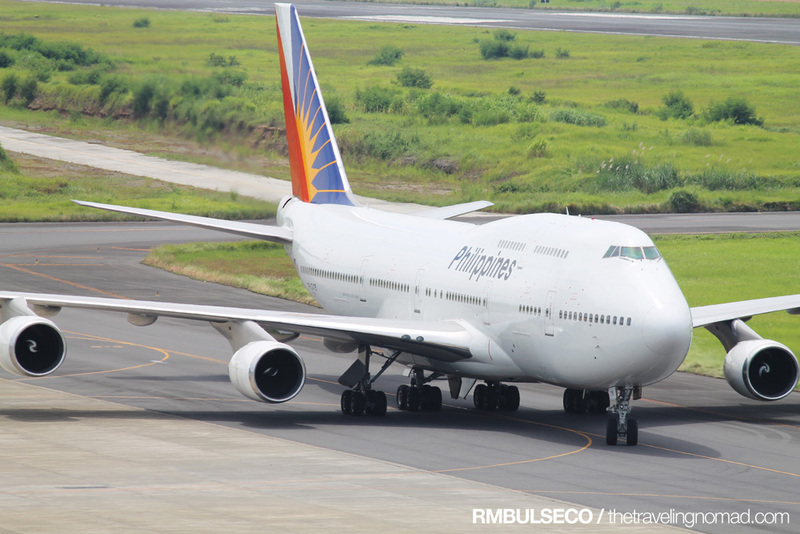 Here are some photos of Philippine Airlines Boeing 747-400 minutes after it landed. Beautiful. The sound of planes might be too loud for some, but for me it's music to my ears. Seriously. And perhaps, this is definitely not my last post about my love about aviation. And oh, please watch this video. I recommend to watch it on HD! I share your fascination (with planes, not vibrators). When I was a kid in the 70s, I also liked watching planes come and go. There weren't 747s then I think (as least for domestic flights), but those DC-10s were just as fascinating. A real giant bird in the skies. That was one smooth landing. I love being in planes too and I've probably lost tracked on how many flights I've been through already. planes are really awesome and i love them! i hate flying or rather, i hate crashing though. hahahaha..
Nice! Planes that are landed are quite a sight to see. I just notice that most of PAL lands on runway 23. Notice ko lang. 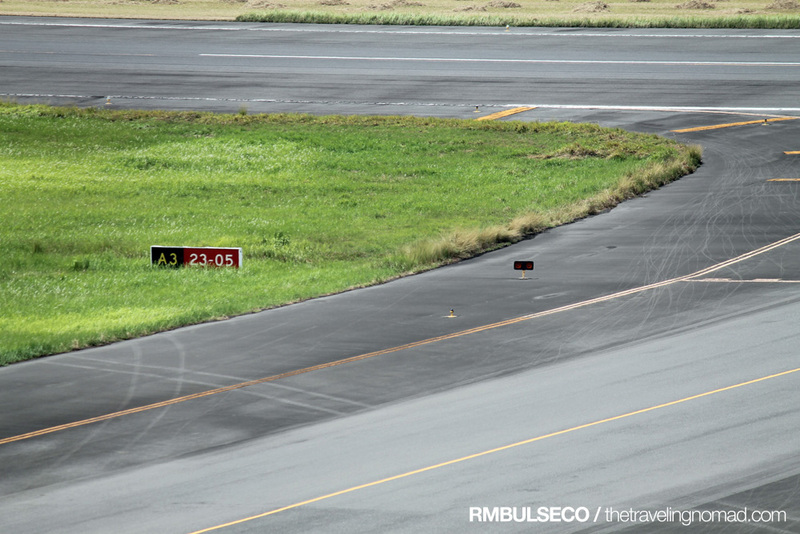 Renz pwede ba mag request sa ATC sa runway 05 mag land pra makita view ng downtown davao? hehehe. Well, the landing/take-off direction will depend on the direction of the wind, dapat against the wind kasi yan eh to generate lift. 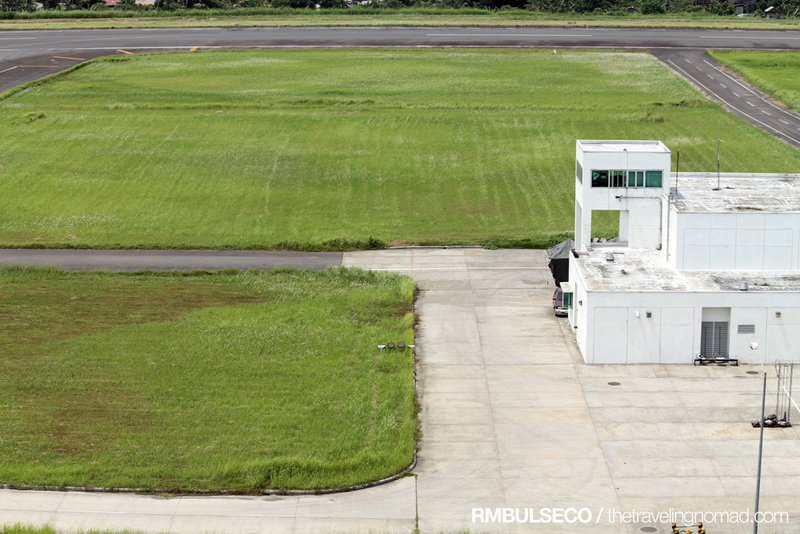 And because of the southwest monsoon, usually sa RWY 23 ang approach and take-off. I haven't been a passenger though. I've experience to ride in his plane on one of its flight to Singapore, I was really satisfied on how it take off and landed. Not to mention that there is enough leg room. Someday I will be rich and ill surprise you with one of those big mechanical birds. hihihihi. *Sorry I don't know anything about airplanes . Hope I could ride one someday! Sa laki ng B-747, parang lalamunin ng buhay ang mga Airbus! 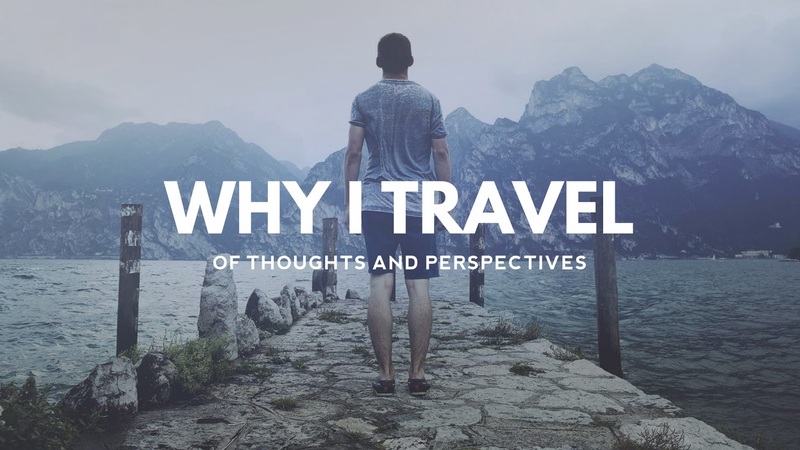 Nice post, Renz! AT KELAN PA NAGING BAWAL TO?! Gaahhh, my house is near the MIA and every 4am the loud take off sound wakes me up.. I think that's the very first flight for the day and it makes me crazy waking up to the loud sound. for some reason, i really like air phil so far. at least pleasant pa ang experience ko, wala pa namang nakakinis na nangyari or something. this post reminds me of the time when i took photos of the runway, a crew wanted to take my camera kasi bawal daw. how true? Quite indeed true, it is not just big but HUUUUGGGEEE..!! When I was kid, I was very curious of seeing airplanes touching down and taxiing in the runway. Just like you do... I love listening to the whizzing sound of the approaching one.